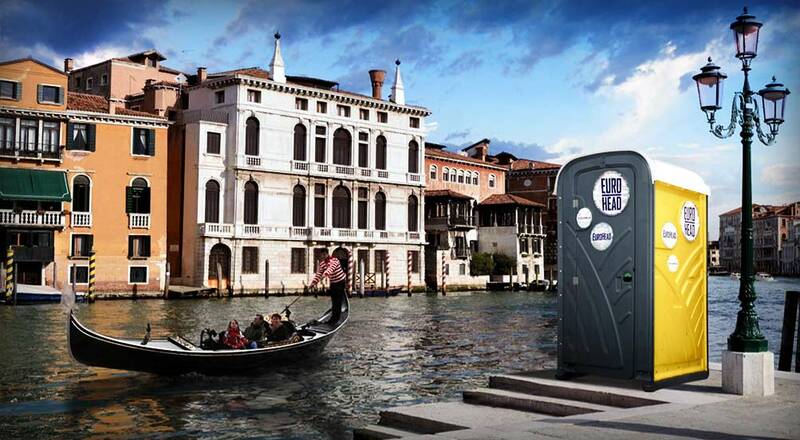 The EUROHEAD is a portable toilet for short-term rental that will bring a European flair to your special event. Its roomy interior has a lockable door with exterior occupancy sign, full-size toilet seat, separate urinal and dual covered toilet dispenser to deliver privacy and comfort for every user. The Claude Monet and Vincent Van Gogh inspired CALLAHEAD Euro-inspired signage adds to the artistic design of the EUROHEAD. We combined necessity with design to make your event even more special. 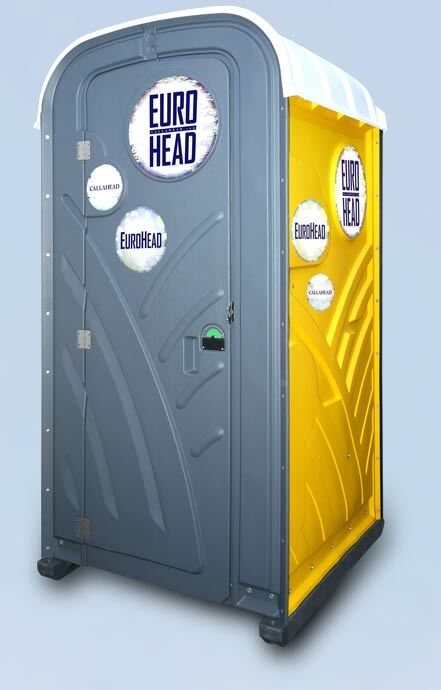 The EUROHEAD portable toilet has smooth and durable polyethylene surfaces that wipe easily clean and won't absorb odors. 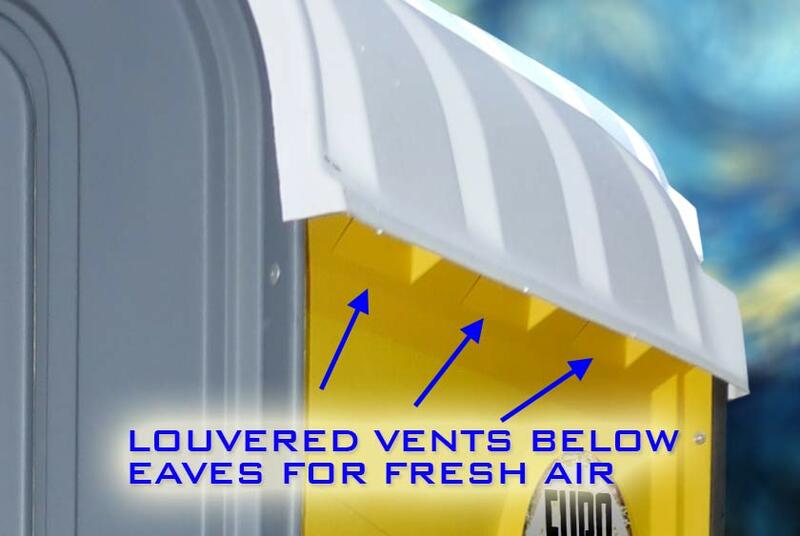 The well-ventilated interior also eliminates any odors from previous users. A combination floor and molded-in wall vents promote a continuous air flow inside the restroom. The well-appointed toilet seat is at the furthest point from the urinal. The urinal drains down the vent pipe to eliminate any odors from remaining inside the porta potty. 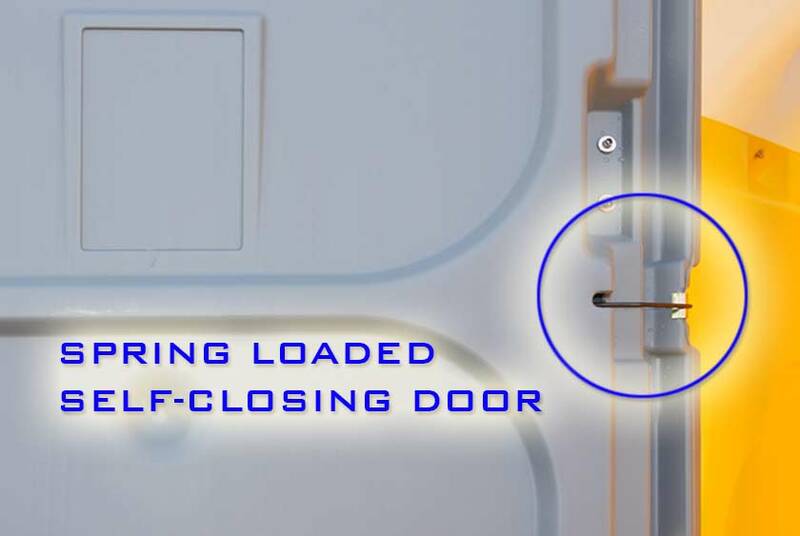 These unique features ensure a pleasant trip to the portable restroom for every guest. 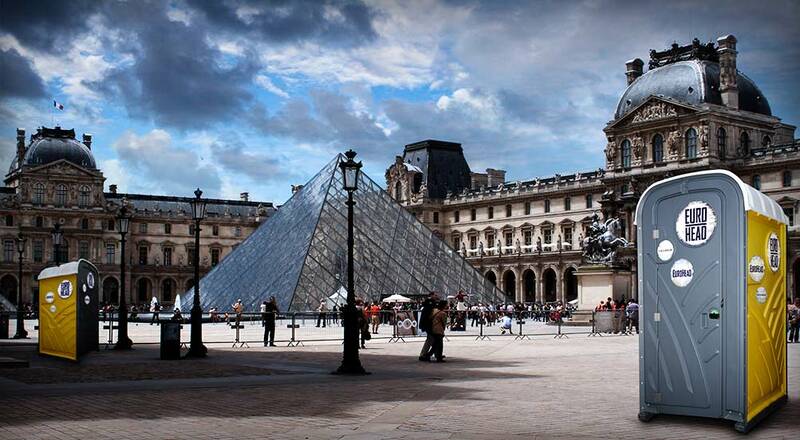 No matter if your event is a fancy celebration or an informal family reunion, the EUROHEAD will bring international panache to your venue. 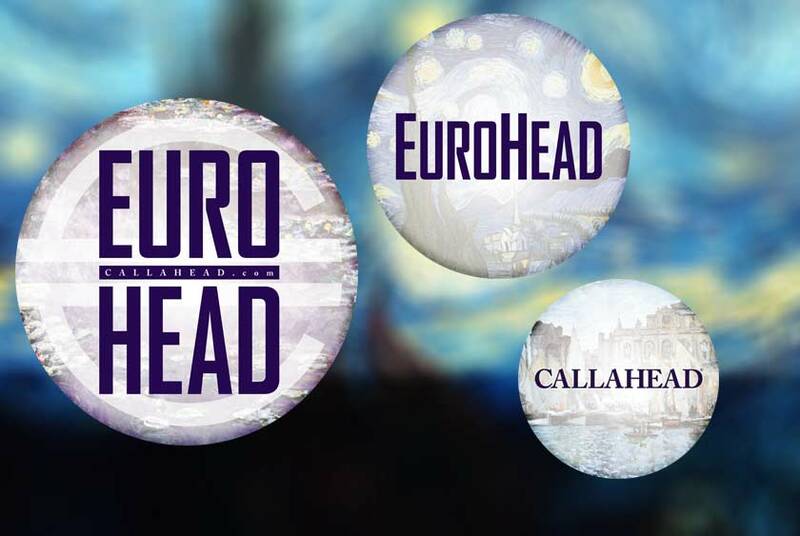 CALLAHEAD offers additional amenity options to compliment any EUROHEAD rental such as, our HEADLINER toilet seat covers, HEADMIST automatic air fresher, and our ANTISEPTIC dispenser. 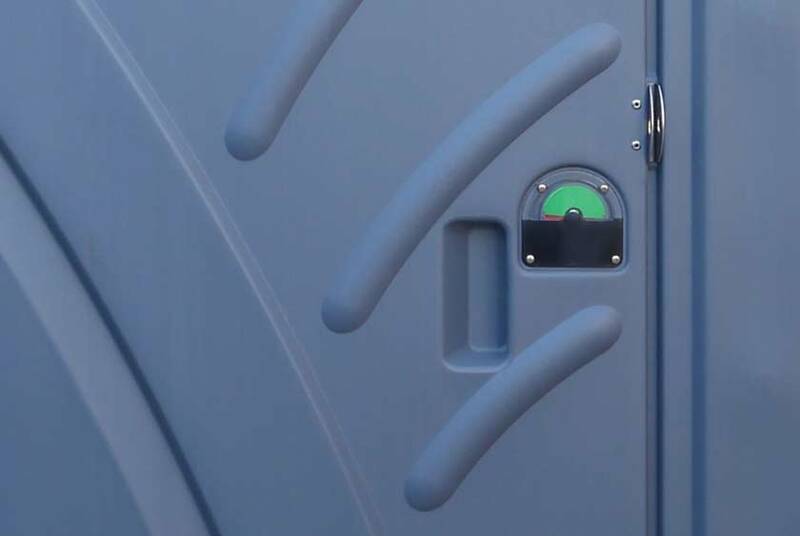 We also have the option of a CALLAHEAD uniformed restroom attendant to keep your portable toilet in brand new condition throughout your entire event. A CALLAHEAD sales specialist will assist with any additional amenities or requests to ensure you receive the perfect equipment for your event. 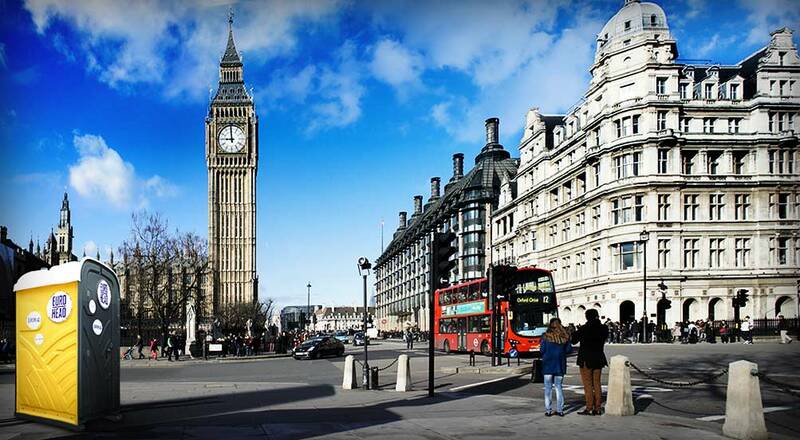 Since 1976 CALLAHEAD has been delivering the greatest portable toilet facilities to New York. We take pride in ensuring every customer not only has the cleanest portable toilets but also a stress-free experience from start to finish. Only CALLAHEAD delivers our equipment in one of our clean like new delivery vehicles. 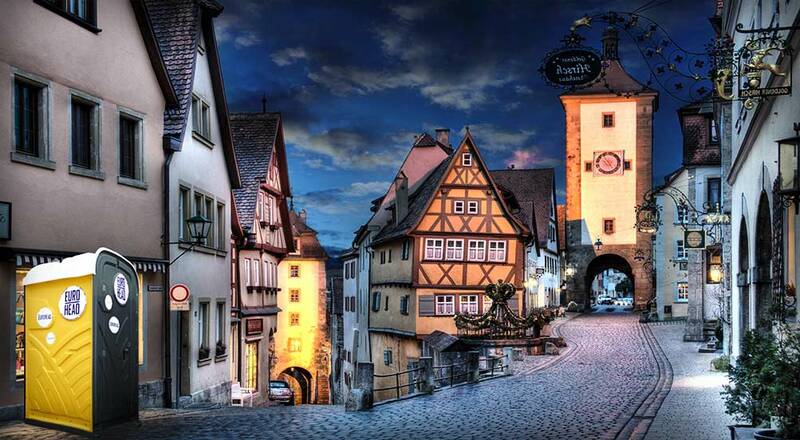 Our uniformed delivery and service technicians will set up the EUROHEAD at your location with professionalism and care. CALLAHEAD provides same-day delivery to New York City's five boroughs of Queens, Manhattan, Brooklyn, Staten Island, and the Bronx, and all of Westchester, Nassau, and Suffolk Counties. We have the largest variety of portable toilets and restroom trailers to accommodate any event need, style, and budget. 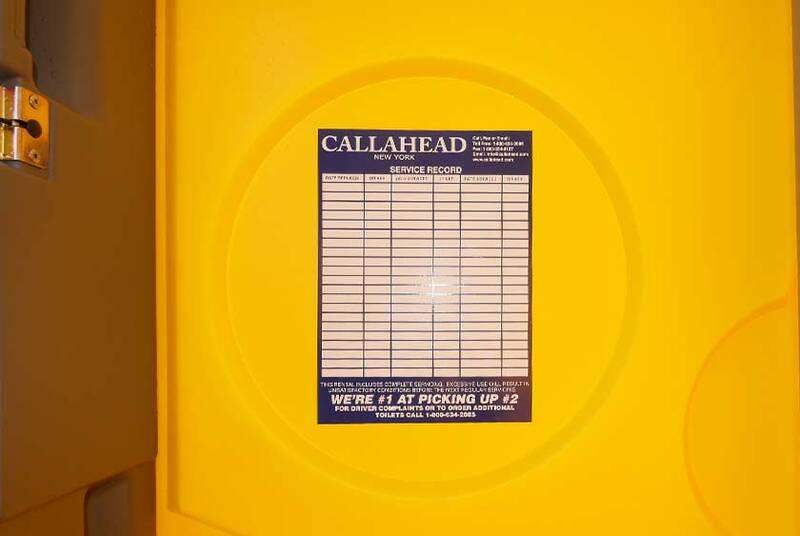 No matter if you require one port-a-potty or hundreds of porta potties, CALLAHEAD has the experience, selection and commitment to ensure you have the best experience possible with every CALLAHEAD rental. The following is a list of special events where the EUROHEAD New York standard porta pottie is most commonly rented. However, this portable toilet is the perfect rental for just about any outdoor and indoor special event with limited restroom facilities or any public location where portable restroom facilities are needed. Weddings, Bridal & Baby Showers • Bar Mitzvah's & Bat Mitzvah's • Communion and Christening Parties • Graduation Parties and Ceremonies • Bachelor and Bachelorette Parties • School, College and University Special Events & Ceremonies • Special Outdoor Ceremonies • Fundraisers, Benefits and Charity Events • Backyard Parties, Private House Parties & Barbeques • Holiday Parties • Concert Events • Family Reunions • Birthday Parties • Remote Locations • Sporting Events • Park and Community Events • Water Shutoffs • Emergency or Disaster Relief Situations • Political Events • Parades, Carnivals & Bazaars • Bathroom Remodeling • Block Parties • Marathons • Festivals • Community Events • Movie, Television and Photo Shoot Locations • Any Outdoor Event • Indoor Events with Limited Restroom Facilities Available • Beach Locations • Marinas • Restaurants, Bars and Pubs in need of additional restroom facilities • Corporate Functions and Events • Any location in need of a portable toilets. For added convenience, we are proud to offer the below list of optional accessory items with your EUROHEAD port a john rental. 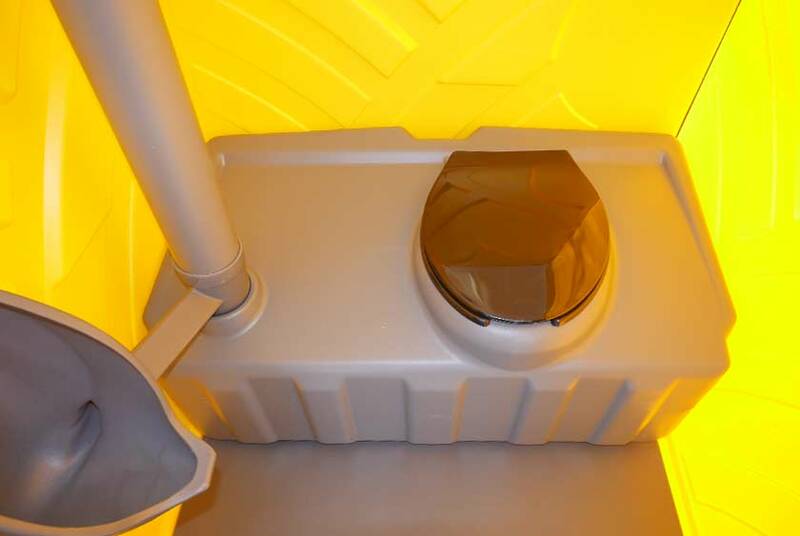 All of CALLAHEAD's rental accessories for portable toilets were selected to provide the same comforts and hygienic protection as if your guests were using a restroom inside an upscale catering hall. CALLAHEAD's portable restroom accessory items are unmatched in the portable toilet industry and include: Antiseptic Dispenser can be installed inside your EUROHEAD port a san, filled with our waterless hand sanitizer. Our waterless hand sanitizer kills 99.9% of germs and bacteria and meets OSHA and Health Department requirements. 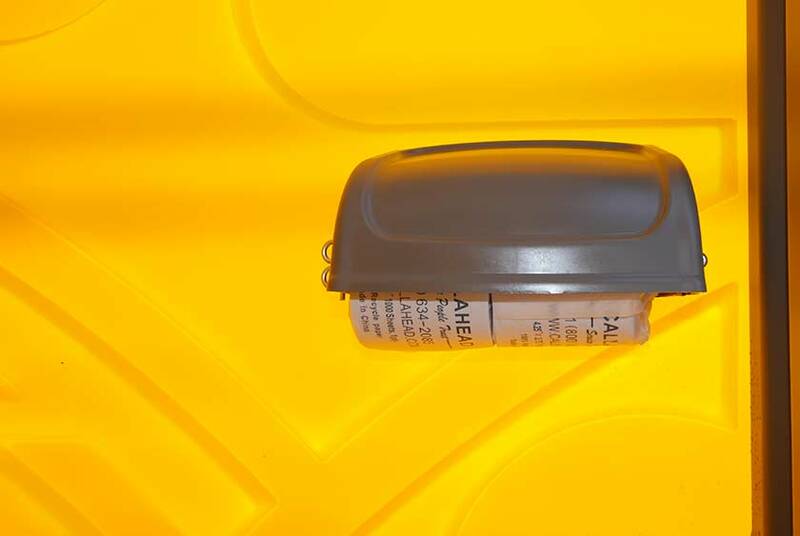 The antiseptic dispenser is perfect for sanitary protection before and after using a porta potty. The antiseptic dispenser supplies approximately 900 - 1300 uses • Paper Towel Dispenser can be installed inside your EUROHEAD New York port a potty rental and is filled with 250 sheets of double fold paper towels. The Paper Towel Dispenser is most commonly rented with the Antiseptic Dispenser to add to users' sanitary protection. 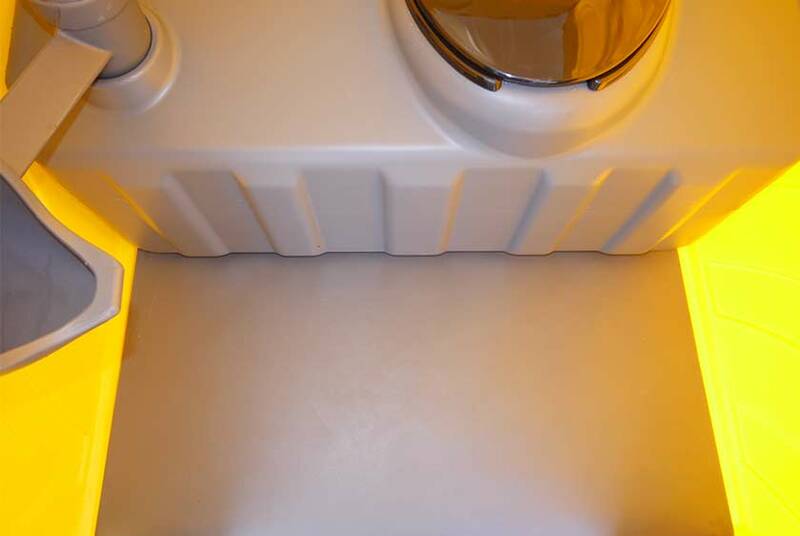 • Headliner Toilet Seat Cover Dispenser can be installed inside the EUROHEAD porta potty, filled with 250 toilet seat covers so every user may have a clean, dry and sanitary toilet seat. • Headmist Time Released Air Freshener can be installed inside the EUROHEAD port a john that will release a fresh clean scent automatically. 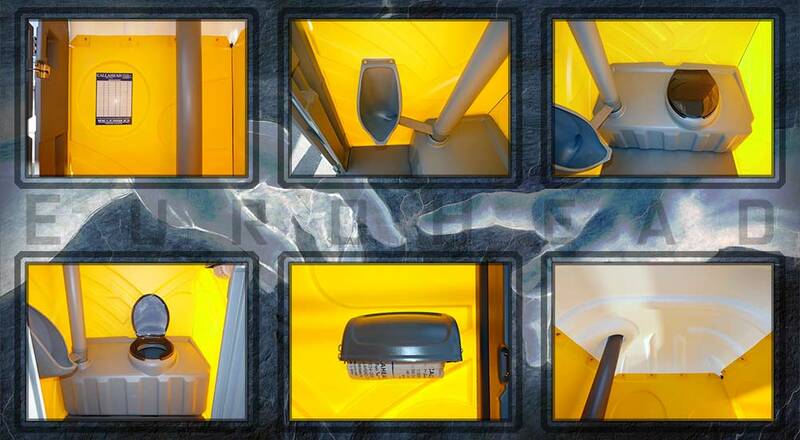 • Containment Tray is highly recommended to accompany every portable toilet rental to assist in meeting local, state, and federal run-off regulations. 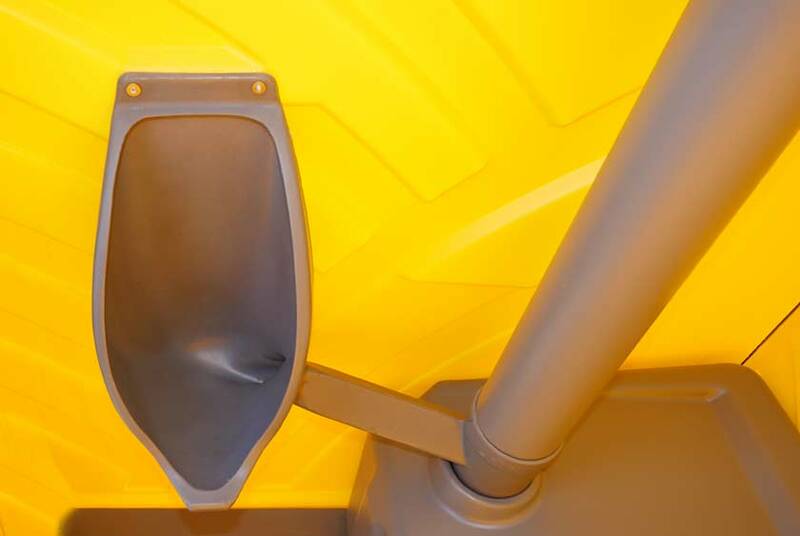 Any fluids that may leak from the port a potty will conveniently drain towards the rear of the tray to eliminate any overfill run-off that may occur. 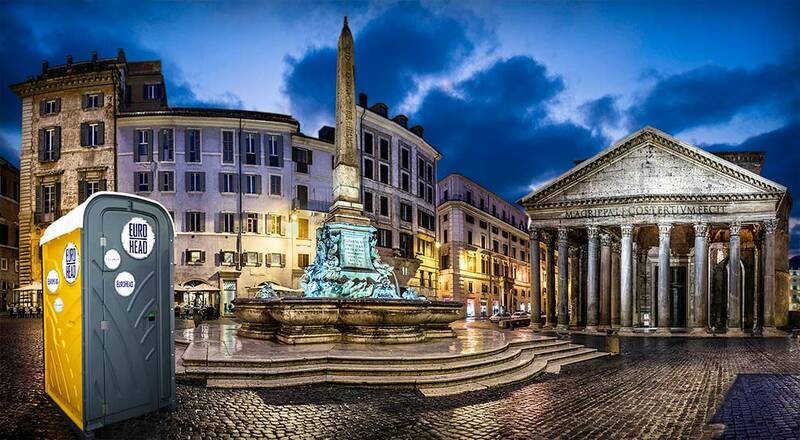 • Professional Uniformed Restroom Attendant is available to maintain cleanliness of the EUROHEAD New York portable toilet rental during your special event so you will not have to. 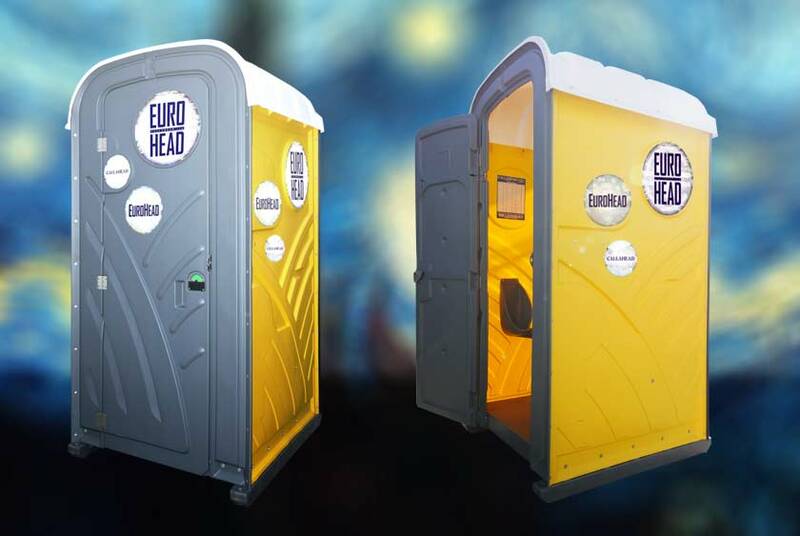 Our trained professional portable restroom attendant will clean your porta potty rental/s after each user to ensure every guest is guaranteed a clean visit to the EUROHEAD portable restroom. Uniformed restroom attendants are recommended when renting a large number of porta potties; renting portable restroom trailers; if you have a large number of guests and a small number of portable toilets; if your special event is either dressy, formal or black tie attire such as a wedding. The following is the detailed design specifications for the EUROHEAD New York port a john rental. 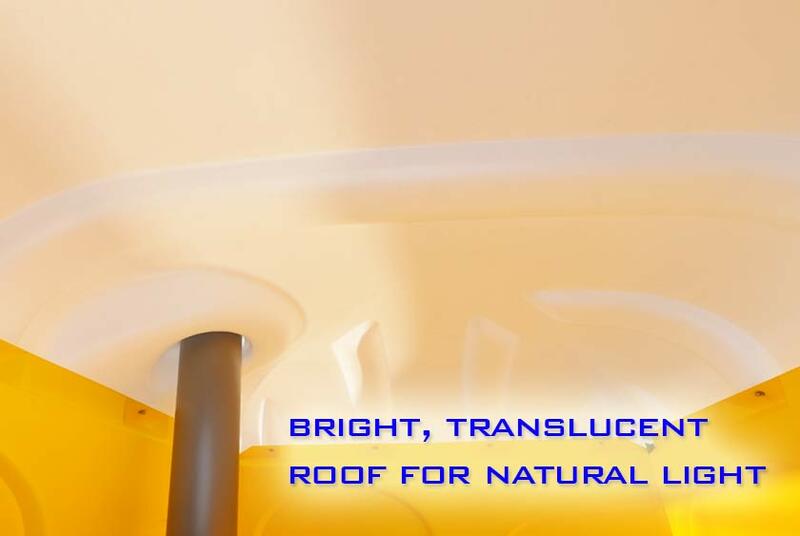 Portable Toilets Construction/Material - High-Density Polyethylene • Translucent Roof • Port a Potty's Weight - 162 lbs. • Exterior Height -91" • Porta potty's Interior Height - 85" • Porta John's Width 44" • Portable Toilet's Door Opening - 76" H x 24" W • Portable Restroom's Floor Space - 41" x 21" • Toilet Seat Height - 18" • Vent Stack - 4" PVC Plastic • Porta Potty's Holding Tank Volume - 70 Gallons • Color - Yellow and Grey • CALLAHEAD's Specialty Designed Euro-inspired signage on all four exterior walls of the portable toilet. 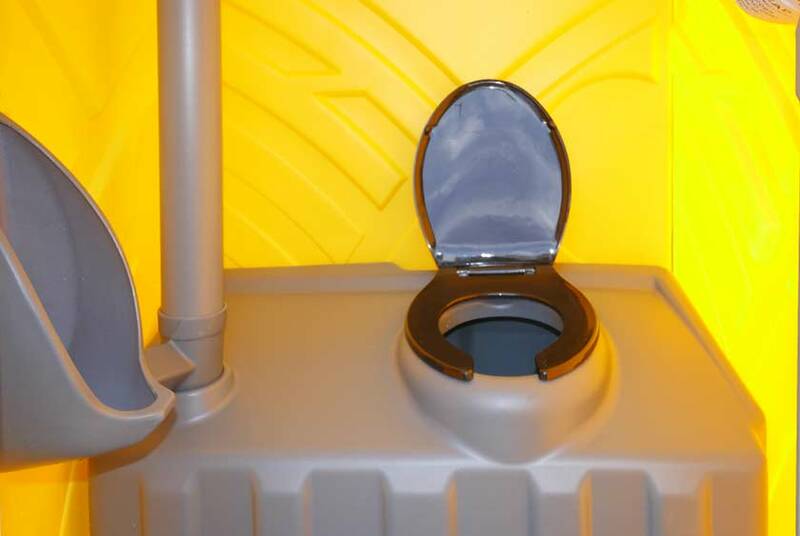 Because this porta potty is a CALLAHEAD brand, guests will appreciate that you have provided them with the world's best portable restroom facilities. Whether your gathering is a large catered event or an intimate social gathering, the EUROHEAD will supply guests with privacy and comfort.